yes and i think that tort and regulatory reform should be dealt with as part of healthcare/insurance reform, but this has long been presented as some sort of panacea. this is an extremely complex issue with a lot of differing outcomes for different folks. i get what you're saying, but i don't think it would radically change our society to provide universal coverage for healthcare. (note - i do not see marginal increases in taxes and/or healthcare expenses to be radical changes). a lot of folks don't have the luxury (myself included as of 6 years ago) to choose whether or not to use health insurance as health care, so i think that presenting it like that oversimplifies things. our oil changes and regular maintenance are in the thousands of dollars every single year and that is with insurance. Again, I get it, BTDT. Ultimately, it comes down to this - MOST people can afford health insurance without subsidies. MOST can. Because MOST people have flat-screen TVs, MOST have cell phones with monthly bills, MOST have relatively nice cars to drive around in. There are some truly poor folks in the US, but there are tons who 'cannot afford insurance' but can afford lots of life's luxuries. I guess ultimately, if you're going to take money from my family in order to help someone else, you best make sure they need it. I'm a very charitable person, but I also use discernment before giving money to fill a 'need'. And no, this is not some sort of 'welfare abuse' comment, I'm simply reiterating the point that healthcare isn't not some innate right, so if you're going to force me to pay someone's way, we should at least be certain they cannot afford it. This sort of subject really gets my libertarianism fired up. My feelings EXACTLY. For two years we rented two of our rental properties to employees from an Italian company working in our area. I got to know them quite well. They paid a 48% income tax rate on top of other taxes that were nothing more than another form of income taxes administered by their government. They basically paid over half their income to the government. These guys were engineers yet due to the tax rates in their country they lived what would be equivalent to lower middle class in our country. I couldn't believe it. No way I'm putting in that type work, effort and time to hold a career like that to live like that. Simply wouldn't be worth it to me. Last edited by Bamabuzzard; January 12th, 2017 at 02:44 PM. it's not just about poor folks not being able to afford health insurance without subsidies. if you remove pre-existing condition protections, limits on lifetime caps, etc. insurance/health care can become prohibitively expensive very quickly if you have a chronic condition, get cancer, have an accident, etc. and it spirals down from there. Yah, those are all reform issues, which I agree need to be addressed. And many of those could be easily addressed by lowering overhead costs by allowing nationwide plans to absorb more variance in the insured pool. My point is the ACA's main selling point was insuring the uninsured, and my point is that if we're going to do that, we better be sure they need it. The reality is we live under an oligarchy, have for decades (perhaps since the country was founded) and if we don't address the corruption that's at the core of the constantly rising costs of healthcare, no amount of robbing Peter to pay for Paul is going to rule help. I'm sure that you know that we subsidize them in this area, making their health insurance more affordable for them, but it needs to be reiterated for the ignorant. I only have about 40 years of experience managing businesses, but I have managed through waves of process improvements which reduced employees. Every one of them made our product cheaper which increased sales. When that happened we needed more capacity. Then we hired those people back and a few more. While I realize that won't always happen but over my years it did about 85% of the time. I do know that whatever you reward you will get more of. So we must be careful about offering incentives to not work. If and When politicians get serious about controlling healthcare costs they will pass torte reform. Without that there will be no way to make any major changes to cost. Wait, policymakers will say. What about jobs? Won’t automation eventually leave most everyone unemployed? No, just the opposite. History, logic, and scores of economic studies all show that higher productivity is associated with faster job growth, not slower. Faster productivity growth frees up purchasing power, which in turn creates jobs. It stirs “animal spirits,” as Keynes called them, and encourages companies to invest and people to spend, creating a virtuous cycle of yet more economic activity and job creation. There is no reason to believe this will change in the future, despite what some techno-utopians claim about the transformative power of technologies such as artificial intelligence and robots. This dynamic of growth leading to purchasing power leading to jobs will exist as long as human needs remain unmet. And given that U.S. median income could increase by a factor of 10 (to $510,000), with most people still having plenty of things to spend that money on (e.g., better vacations, a new boat, eating out more, a college education for their kids), we have a long way to go before we have to worry about running out of work (and even then productivity gains would be used to shorten the work week). This post also applies to the Japanese company (IBM Watson) thread. Last edited by Tide1986; January 13th, 2017 at 08:37 AM. 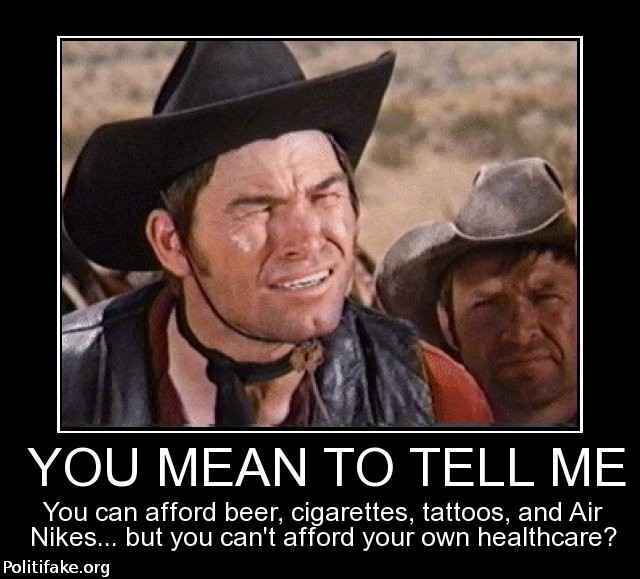 There are some truly poor folks in the US, but there are tons who 'cannot afford insurance' but can afford lots of life's luxuries. After the National Park Service re-tweeted pictures of the National Mall during the 2009 and 2017 inaugurations, which highlighted this year's comparatively small crowd, Trump's administration has banned the entire Interior Department from Twitter, including tweets meant for emergency use and safety updates. Out of curiosity, what do you think was the purpose of a government agency tweeting out a comparison of 2009 and 2017? It was probably a snarky tweet from someone who was walking out the door, and I'm not defending it. But do you think it's a slight overreaction to silence the entire Department of the Interior because of one tweet made by a single individual employed by a relatively small service within said department? Apparently the shutdown was less than 24 hours. The article you posted indicates as much. The twitter account was back up and running first thing this morning. If twitter is an essential emergency communications channel, a long-term shutdown would be inappropriate in my opinion. As it was, essentially momentary, the shutdown seems to have been prudent. Last edited by Tide1986; January 21st, 2017 at 10:18 AM. Looks like the NPS twitter is back up as well. In that case, it's a non-story.